Hello to watchmaniacs and for the maintainers of this site ! I'm from Romania. I want to present my inherited watch. 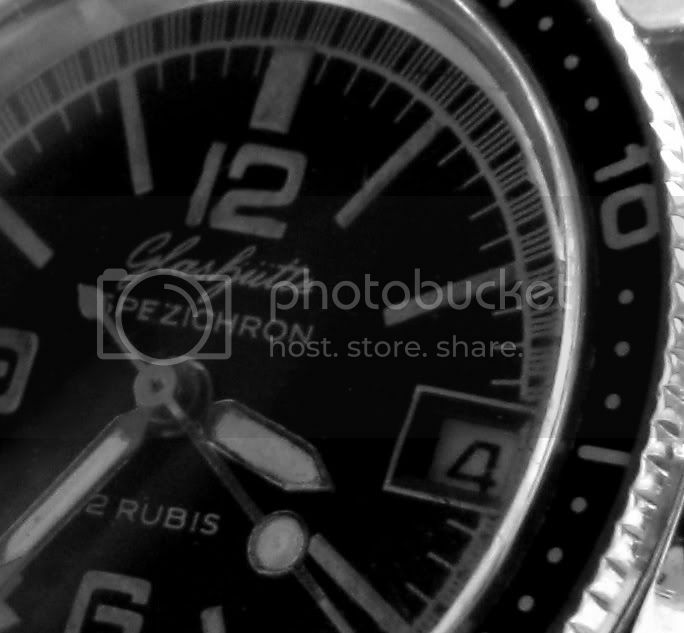 As you can see in the title it's about Glashutte Spezichron , calibre 11-26. 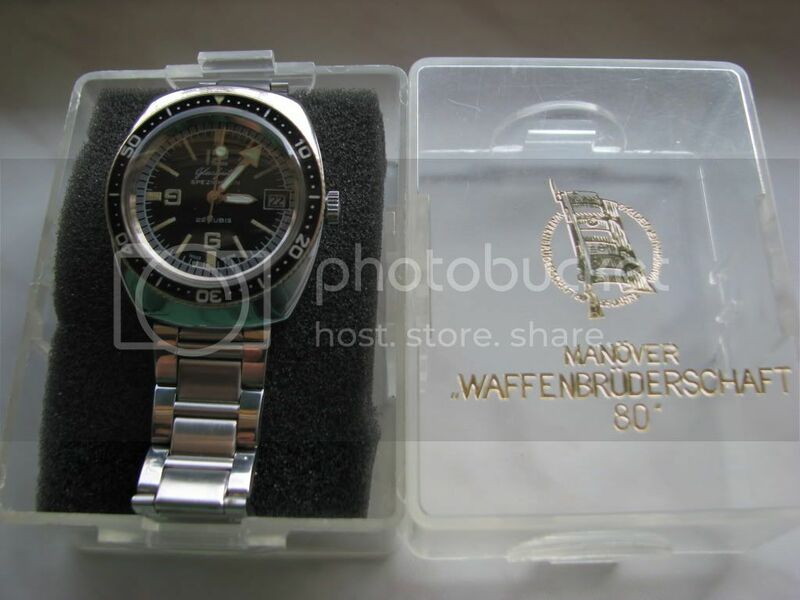 It's not a regulary watch because on the back case it's the signature of E. Honecker. Honecker gave my grandfather this as a present in the 1980. My grandfather took part, representing Romania, to a meeting in 1980 named "Waffenbruderschaft" in Magdeburg, Germany.At this meeting took part all the nations that signed the Warsaw Treaty. This watch was made especially for this event and there were no more than 100 watches like mine made. 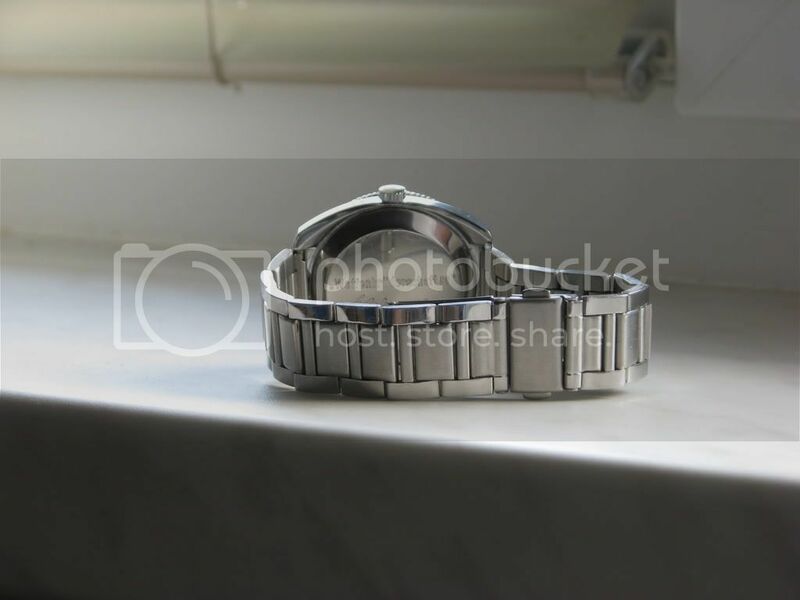 Those types of watches were made for the german marine commando KSK18. And now please watch some photos. Sorry but i don't have a photo with the movement. I won't open it without the special tools. 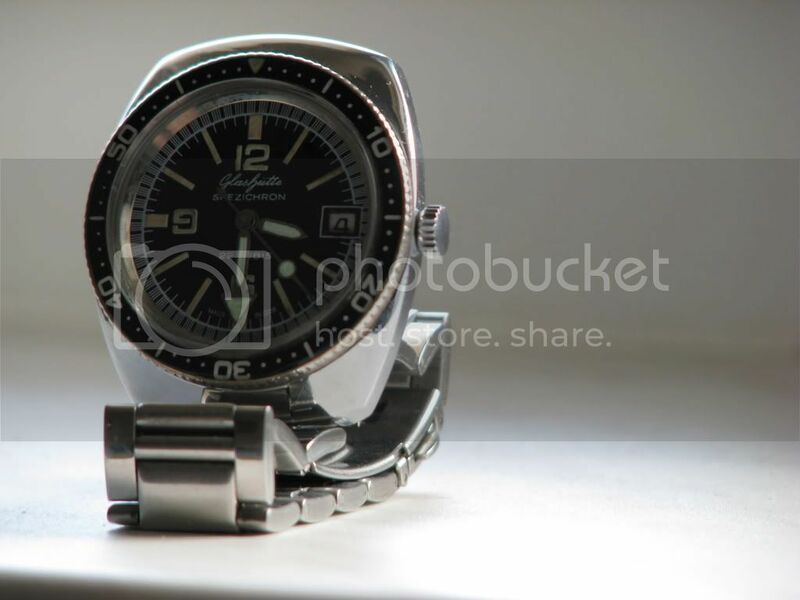 Welcome to Watchuseek and welcome to the German Watches Forum as well. I moved your post from Reviews to this forum. Attached you will find a pic of the GUB 11-26. 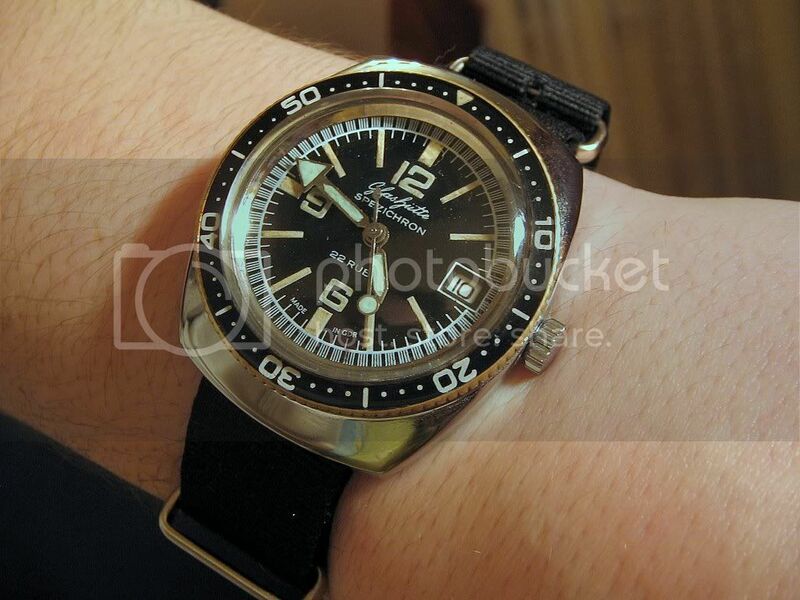 According to former members the Kampfschwimmer have been supplied with several types of watches. 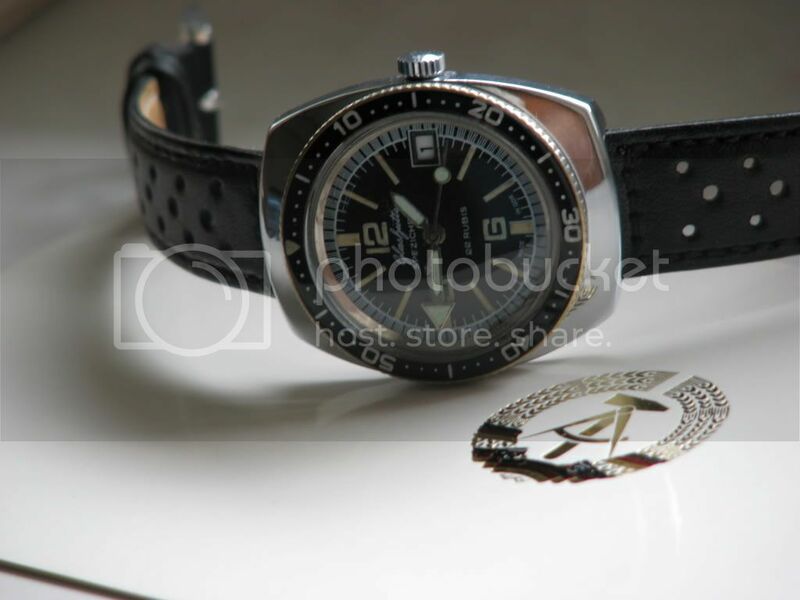 First huge Russian diver watches, then [if the funds were sufficient] Glashütte Spezichron diver´s watches and then in the later 80s the Ruhlas. Last edited by stuffler,mike; December 25th, 2009 at 18:59. "Manover Waffenbruderschaft " was a military exercise, correct?? Was your granddad in the Roumanian Army? but for the historical significance! Now, in 1980 there were 2 huge Warsaw Pact maneuvres, one in East Germany and one in one of the Baltic Soviet Republics. I know because my unit were placed on full war alert, fully equipped for invasion/war. The bulk of the Swdish Armed forces were a couple of notches up on the alert scale. We were very ready for you guys! I am happy it was just an exercise, because I would probably not be here now. Thank you for all your feedbacks! And yes, my granddad was a colonel in the Romanian Army.